Our Vinyl Binders are available in two styles: Screen Printed and Clearview Embedment. Both offer your choice of vinyl color. 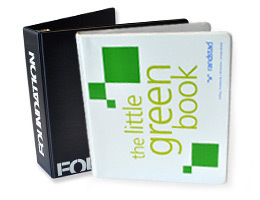 Screen Printed Vinyl Binders are printed in 1, 2 or 3 colors directly onto the vinyl. 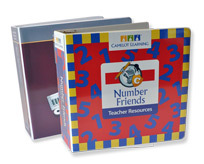 Clearview Embedment Vinyl Binders feature full-color printed sheets sealed 4 sides under clear overlay. Both styles come with Low Minimum Quantity! Which Binders work for you? Order Vinyl Binders & Screen Printed Vinyl Binders online with low minimum quantity on ThePaperWorker! ThePaperWorker’s Screen Printed Vinyl Binders feature your choice of vinyl color and up to three imprint colors. The 3 Ring Binders available on ThePaperWorker are available in Low Minimum Quantity. ThePaperWorker is your source for high quality vinyl binders and presentation binders – design printed binders with your logo and order online today! Order Vinyl Binders & Clearview Vinyl Binders online with low minimum quantity on ThePaperWorker! ThePaperWorker’s Clearview Vinyl Binders (Clearview Embedment Binders) offer full-color printing with the versatility of a vinyl binder. The 3 Ring Binders available on ThePaperWorker are available in Low Minimum Quantity. ThePaperWorker is your source for high quality vinyl binders and presentation binders – design printed binders with your logo and order online today! Our binders have been rated the highest quality binders on the web, and we look forward to producing top notch, quality binders for your brand! We guarantee you will be thrilled with the quality of our designs. Our team of experts includes structural packaging engineers, designers, finishers and service staff all under one roof. We don't outsource a thing! We thrive on delivering top quality, functional and durable products, by being innovative and imaginative. It's a continuous process to improve and our committment to excellence that separates us from our competitors. Our binders aren't just tough, they are built to impress! Check out our blog for examples of our work and learn more. Don't see it on the web?